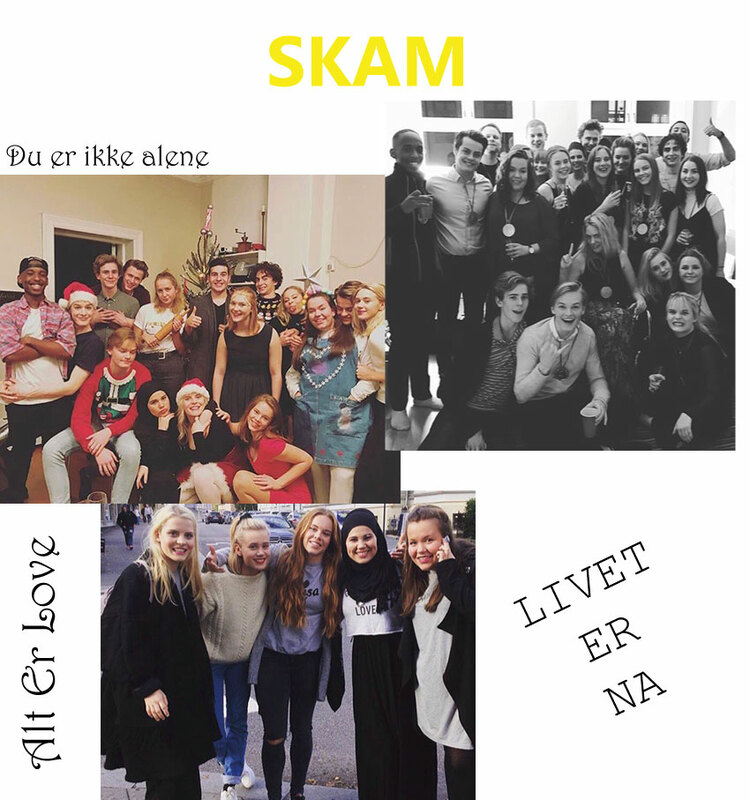 Skam is a Norwegian show that started in 2015, and each season focuses on a main character, although they are all within the same group of friends. The first season follows the story of Eva Mohn (Lisa Teige) while the relationship she has with her boyfriend, Jonas (Marlon Valdés Langeland) is changing, she begins to stop being an "extension" of him, to get to know each other better. The second season is about the story of Noora Saetre (Josefina Frida Pettersen), Eva's friend. In this season you can see food problems,trust issues and how that is overcome. The third season begins with Isak Valtersen (Tarjei Sandvik Moe), who comes to accept the reality of his sexuality. The fourth and final season follows the story of Sana Bakkoush (Iamn Meskini) and the prejudices she faces in her day to day life because she is muslim, especially with her schoolmates, who have known her for several years. There is a pattern that follows here, which is that the series is always about surpassing and accepting, and that love is the most important thing, and it is above everything else. 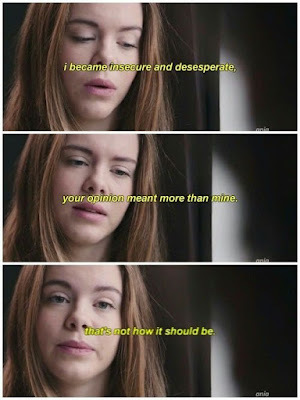 I think the last two seasons are the ones that deal the most with the hatred that thousands of people in the world receive everyday simply for prejudice, for not informing themselves, for not talking to the people they are hating for no good reason. 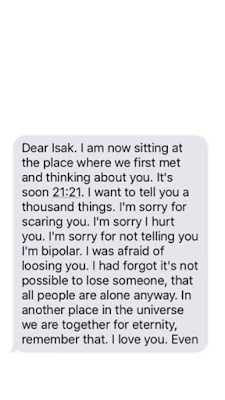 I remember that when I saw in tumblr or instagram photos with phrases from the chapters of Skam, I always thought it looked a lot like Skins. And when I started watching the series, I still believed that for a couple of chapters. Until I realized I did not, and I was soooo wrong. If they told me that I have to describe Skam in three words, I would say: real, love and equality. This series shows teenagers as normal people, not idealizing them, and that makes you feel that these characters are exactly like you. They have to deal with the problems that many of us have, and many scenes made me feel that I was part of that world. The characters are not romanticized, they are not presented as perfect people, they are real. They are teenagers like any other. Sometimes they wear makeup, sometimes they do not, they have acne, imperfections, they talk like any other teenager would, and their problems are of people their age (not like what happens in series like gossip girl, no matter how much I liked it in your moment). Another thing that I emphasize of Skam is that the actors have the age that they act, or at most a few more years. They aren't people that is 32 years old pretending to be 16, as is often the case in series from other countries. And that makes seeing what happens to them feels more real. It is also the first time that a series that isn't based in the United States (or England) is so successful. English is no longer the language that commands. It is a series that deals with issues that each of us can have, problems that we have to live with every day, and try to overcome them the best that they can. Be it guilt, a sick relationship, eating disorder, homophobia, mental illness, bullying, hatred of Islam. They are characters who suffer, but as the discourse of the last chapter says "du er ikke alene", meaning, you are not alone. No one is ever completely alone. Nowadays hatred is seen every day, whether on the street, on television, among people who make their differences greater than their similarities, that let hate win instead of knowledge, this series shows that love is everything, and that it is more important than anything else. It teaches that living is now. And I think that as the characters overcome the problems they encounter, they helped other people who were going through the same thing in real life, to overcome it themselves. 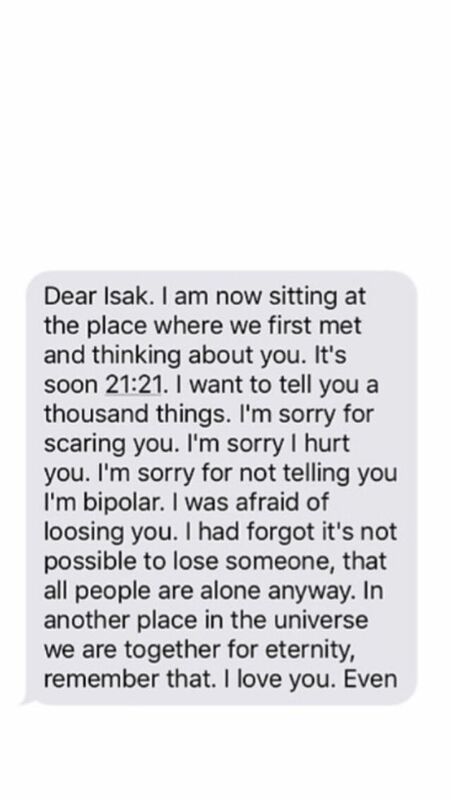 I read many comments from people on social media that said that Isak and Even had helped them to accept their sexuality; Or to let go of the hatred and prejudice they had over other people simply because they didn't know them. Skam was shown from the beginning as a different series, which broke with the paradigms and with what is traditional. Small scenes were released on the official page in real time, that means, if they were at a party on a Saturday night, that scene was "live" in the schedule where it was happening, and then the whole chapter was released another day. That seemed incredible to me from the beginning (although I never saw the clips live because 1) I do not understand anything they said 2) I never found out in the moment that they were happening). 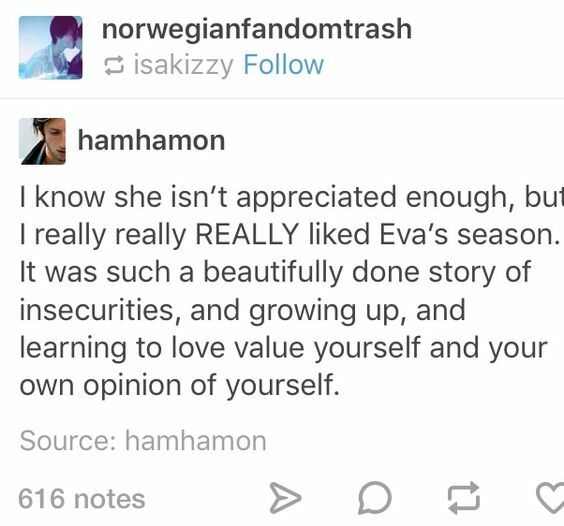 Skam feels less like a series and more like real life, even if it is not. It's a different experience than how a show is supposed to be. Lastly, I have to admit that I'm a bit disappointed with how the series finale. I have no criticism with the incredible speech of the end, but yes with how they treated some characters. 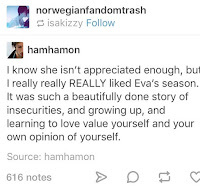 The final story of Vilde gave a lot to have a season focused on her, and I have to admit that I love that the relationship "child" that seemed to have with Magnus, is much more than that, but the truth is that I would have liked to see more Of her history, that has giving us hints since season one. Some say the series ended so abruptly because it was becoming too well known, others because several actors didn't want to continue. To tell the truth, I'm not interested in the cause, just grateful to have been able to see this incredible show, which I believe we should see, in order to fill us with feelings that make us grow and more unite as human beings. I hope that after reading this post you can give an opportunity to a show as disruptive and incredible as this is, and I would love to let me know if you see it. 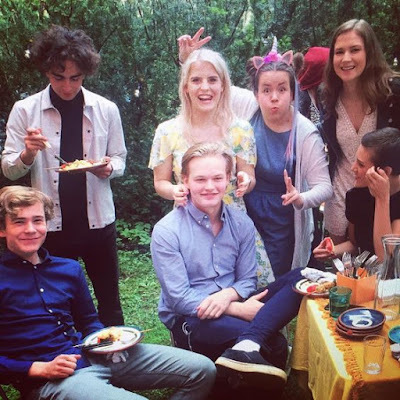 Skam es una serie noruega que comenzó en 2015, y cada temporada se enfoca en un personaje principal, aunque todos están dentro del mismo grupo de amigos. La primera temporada sigue la historia de Eva Mohn (Lisa Teige) mientras se ve como la relación con su novio, Jonas (Marlon Valdés Langeland) va cambiando, y ella deja de ser una "extensión" de él, para conocerse mejor. 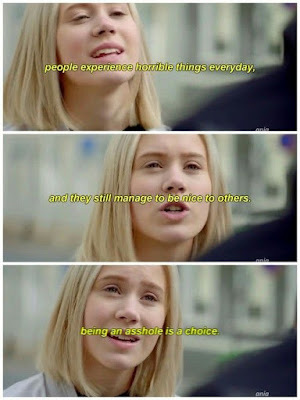 La segunda temporada trata sobre la historia de Noora Saetre (Josefina Frida Pettersen), amiga de Eva. En esta temporada se pueden ver problemas alimenticios, de confianza, y como ella lo va superando. La tercera temporada empieza con Isak Valtersen (Tarjei Sandvik Moe), que llega a aceptar la realidad de su sexualidad. La cuarta y ultima temporada sigue la historia de Sana Bakkoush (Iamn Meskini) y los prejuicios que ella enfrenta en su día a día, especialmente con sus compañeros de colegio, que la conocen ya hace varios años. Hay un patrón que se sigue acá, que es que la serie siempre se trata de superar y aceptarse, y de que el amor es lo mas importante, lo que esta sobre todo lo demás. Creo que las ultimas dos temporadas las que tratan mas sobre el odio que reciben hoy en día miles de personas en el mundo simplemente por prejuicios, por no informarse, por no hablar con la gente a la que están odiando sin razones fundadas. Me acuerdo que cuando veía en tumblr o instagram fotos con frases de los capítulos de Skam, siempre creí que se parecía mucho a Skins. Y cuando comencé a ver la serie, lo seguí creyendo por un par de capítulos. Hasta que me di cuenta que no. Si me dijeran que tengo que describir a Skam en tres palabras, diría: real, amor y igualdad. Esta serie muestra a los adolescentes como personas normales, no idealizándolos, te hace sentir que esos personajes son exactamente como vos. Ellos tienen que lidiar con los problemas que muchos de nosotros tenemos, y muchas escenas me hicieron sentir que formaba parte de ese mundo. Los personajes no están romantizados, no son presentados como gente perfecta, son reales. Son adolescentes como cualquier otro. A veces usan maquillaje, a veces no, tienen acné, imperfecciones, hablan como cualquier otro adolescente lo haría, y sus problemas son de gente de su edad (no como puede pasar en series como gossip girl, por mucho que me haya gustado en su momento). 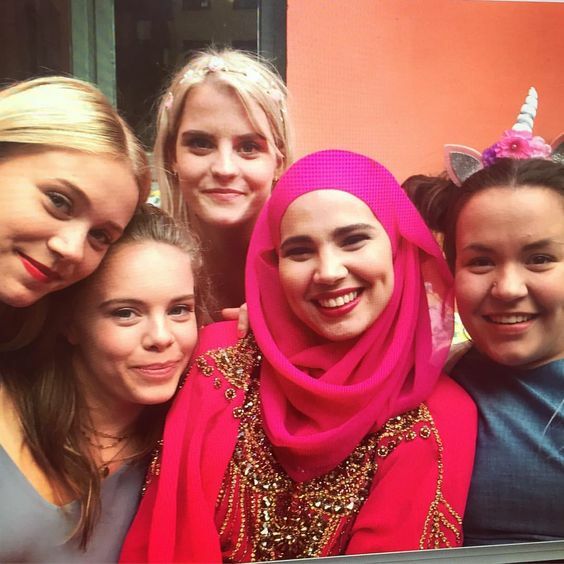 Otra cosa que destaco de Skam es que los actores tienen la edad que actúan, o a lo sumo unos anos mas. No son personas de 32 pretendiendo tener 16, como suele pasar en series de otros países. Y eso hace que ver lo que les pasa se sienta mas real. También es la primera vez que una serie que no esta basada en Estados Unidos (o Inglaterra) tiene tanto éxito. 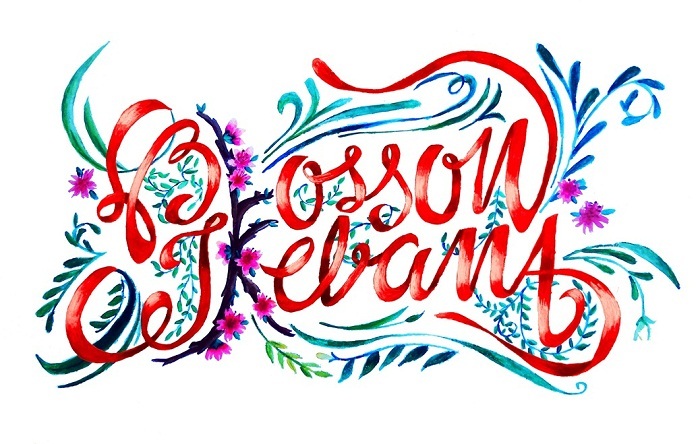 El ingles ya no es el idioma que manda. Es una serie que trata temas que pueden tener cada uno de nosotros, problemas con los que tenemos que vivir todos los días, y que tratamos de superarlos lo mejor que nos sale. Ya sea culpa, una relación enfermiza, un problema alimentario, homofobia, problemas mentales, bullying, odio al islam. Son personajes que sufren, pero como el discurso del ultimo capitulo dice "du er ikke alene" o sea, vos no estas solo. Nadie nunca esta completamente solo. En una época donde el odio se ve todos los días, ya sea en la calle, en la televisión, entre gente que hace que sus diferencias sean mas grandes que sus semejanzas, que dejan que el odio y el no conocerse gane, esta serie muestra que el amor es todo, y que es mas importante que cualquier otra cosa. Enseña que vivir es ahora. Y creo que mientras los personajes van superando los problemas con los que se encuentran, ayudaron a otras personas que estaban pasando por lo mismo, a superarlo ellos mismos. Leí muchos comentarios de gente en las redes sociales que decía que Isak y Even los habían ayudado a aceptar su sexualidad; o a dejar de lado el odio y los prejuicios que tenían sobre otras personas, simplemente porque no las conocían. Skam se mostró desde el principio como una serie diferente, que rompía con los paradigmas y con lo que es tradicional. Pequeñas escenas eran lanzadas en la pagina oficial en tiempo real, o sea, si estaban en una fiesta un sábado a la noche, esa escena iba "en vivo" en el horario en el que estaba sucediendo, y después el capitulo entero se lanzaba otro día. Eso me pareció increíble desde el principio (aunque nunca vi los clips en vivo porque 1) no entiendo nada 2)nunca me enteraba). 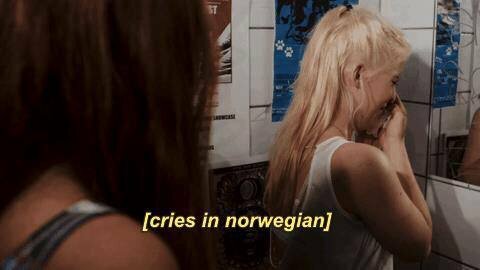 Skam se siente menos como una serie y mas como vida real, aunque no lo sea. Es una experiencia diferente de como una serie se supone que tiene que ser. Por ultimo, tengo que admitir que estoy un poco decepcionada con como se desarrollo el final de Skam. No tengo criticas con el discurso increíble del final, pero si con como se trato a algunos personajes. La historia final de Vilde daba mucho para tener una temporada centrada en ella, y tengo que admitir que me encanto que la relación "infantil" que parecía tener con Magnus, sea mucho mas que eso, pero la verdad es que me hubiese gustado ver mas de su historia, que viene dando pistas desde la temporada uno. Algunos dicen que la serie termino tan abruptamente porque se estaba haciendo demasiada conocida, otros porque varios actores no querían seguir. A decir verdad, no estoy interesada en la causa, simplemente agradecida de haber podido ver esta increíble serie, que creo que todos tendríamos que ver para poder llenarnos de sentimientos que nos hagan crecer y unirnos como seres humanos. Espero que después de leer este post le den una oportunidad a una serie tan disruptiva y increible como es esta, y me encantaría que me hagan saber si la ven. Bash Harry viernes, julio 21, 2017 3:06:00 a.m.
My friend has been recommending Skam to me forever! 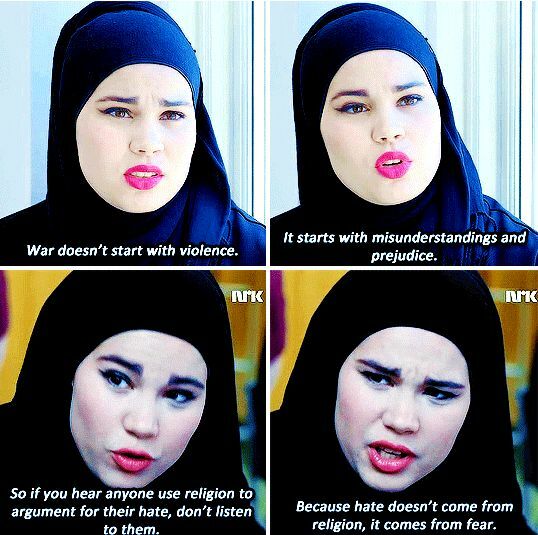 Especially Season 4, where it discusses Islam in a positive light. Something I never thought I could see in Western television! I really, really need to watch it! Netflix perhaps? Paula Loreti sábado, julio 22, 2017 4:01:00 p.m.
Ohh yeah! season 4 is amazing and I think that they treat Islam with such respect and love that I was out of words. 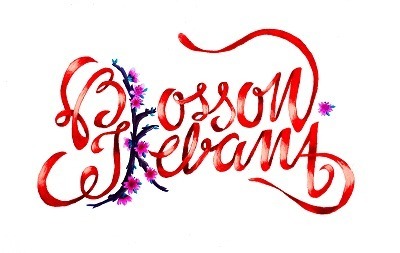 Sadly is not on netflix (at least in my country) but you can find it online! Dominique W sábado, julio 22, 2017 3:45:00 p.m.
Paula Loreti sábado, julio 22, 2017 4:02:00 p.m.
Spring Lilies domingo, julio 23, 2017 2:46:00 p.m.
Paula Loreti domingo, julio 23, 2017 3:50:00 p.m.
Cake Monika domingo, julio 23, 2017 3:45:00 p.m.
Paula Loreti domingo, julio 23, 2017 3:51:00 p.m.
Shelise Saddul domingo, julio 23, 2017 4:21:00 p.m.
Paula Loreti domingo, julio 23, 2017 4:47:00 p.m.
Stephanie martes, julio 25, 2017 8:20:00 a.m.
Paula Loreti jueves, julio 27, 2017 8:51:00 p.m.
BISSQ viernes, julio 28, 2017 6:22:00 a.m.
Shabrina Hazimi lunes, julio 31, 2017 7:49:00 a.m. I've heard about this series but haven't manage to watch it! After reading your post, I feel urged to watch it right away. Knowing that the issues this series brought sound so real! I'm a moslem myself, so I'd love to watch how a western series's take on problems faced by moslem teenager. Looking forward to reading more of your recommendations on your blog! Sarah Anderson martes, diciembre 05, 2017 3:24:00 a.m.
What a lovely Article is this and It have great Information in it. Flor | Mate & Bizcochitos martes, marzo 20, 2018 8:47:00 p.m.
jojo jueves, octubre 18, 2018 8:18:00 a.m.